Monday IDEA LAB includes Paul Rucker, Daniel Anguilu, Latoya Peterson, and Ginny Ruffner, who will each give short TED-style presentations. Paul Rucker is a visual artist, composer, and musician who combines media, often integrating live performance, sound, original compositions, and visual art. Daniel Anguilu is a self-taught artist who began his career painting graffiti and tagging trains and became a muralist. Latoya Peterson is a journalists whose interest is in the ways information and technology can be used in community settings. She is arriving at the same place as many artists whose work focuses on social justice and the commons. Ginny Ruffner is a glass artist who, in 1991, was involved in a three-car collision that almost took her life. Doctor’s thought she would never walk or talk again. Today, she is living a productive life and has renewed her career. 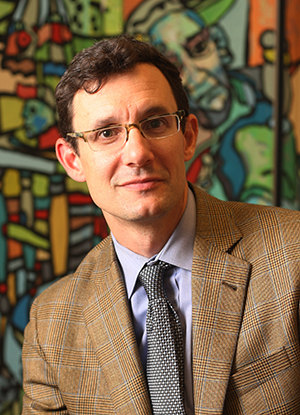 Steven Tepper is dean of Arizona State University’s Herberger Institute for Design and the Arts. His research and teaching focus on creativity in education and work; conflict over art and culture; and cultural participation. He is author of Not Here, Not Now, Not That! Protest Over Art and Culture in America (University of Chicago, 2011) and co-editor and contributing author of the book Engaging Art: The Next Great Transformation of America’s Cultural Life (Routledge 2007). Tepper is a leading writer and speaker on U.S. cultural policy and his work has fostered national discussions around topics of cultural engagement, everyday creativity, and the transformative possibilities of a 21st century creative campus. His writings on creativity and higher education have appeared in numerous national publications including the Chronicle of Higher Education, The Huffington Post, and Fast Company. Tepper is also the research director of SNAAP, the Strategic National Arts Alumni Project, which has surveyed more than 100,000 graduates of arts training institutions about their education and careers. 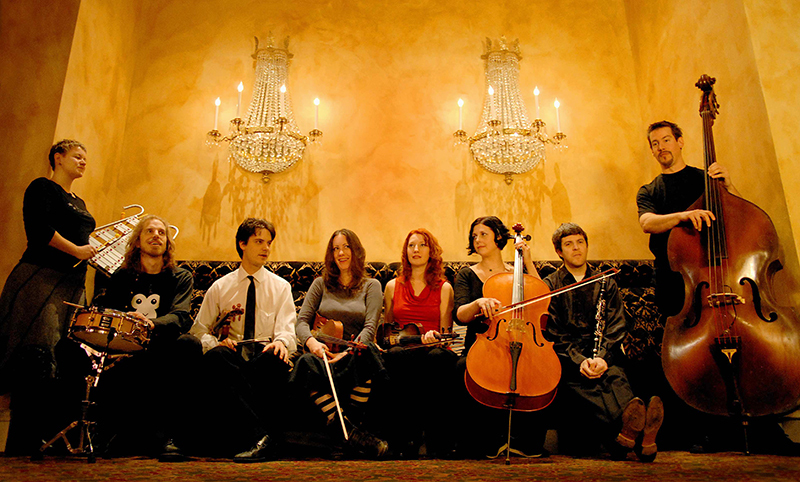 Two Star Symphony is a Houston instrumental ensemble composing and performing all original music together. Known for close collaborations with artists of various mediums — dance, puppetry, film and more — Two Star creates mesmerizing pieces with powerful performances and a distinctive sound that is emotionally rich, darkly playful, and memorably melodic. Tuesday IDEA LAB includes Lance Weiler, Matika Wilbur, Hasan Elahi, and Jae Rhim Lee, who will each give short TED-style presentations. Lance Weiler is a film maker/experience designer/storyteller, whose work centers around exploring ways that narrative can be expressed and understood. Matika Wilbur is a Native American photographer who is documenting the 562 Federally recognized nations in the United Statesa project designed to change the image of Native people in the media. Hasan Elahi is an interdisciplinary artist whose work examines issues of surveillance, citizenship, migration, transport, and borders and frontiers. Jae Rhim Lee’s current work, the Infinity Burial Project, proposes alternatives for the post-mortem body and features the training of a unique strain of an edible mushroom to decompose and remediate toxins in human tissue. 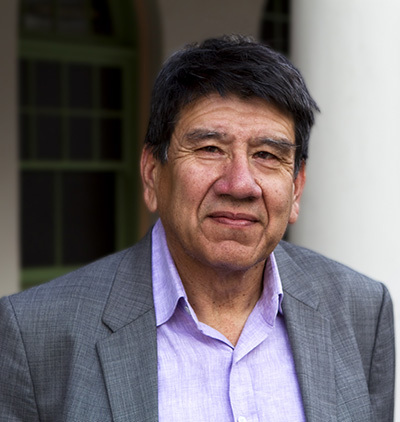 Roberto Bedoya is the executive director of the Tucson Pima Arts Council, (TPAC) Tucson AZ, where he has instituted the innovative P.L.A.C.E. (People, Land, Arts, Culture and Engagement) Initiative a civic engagement/placemaking platform that supports artists projects that address critical community issues. Prior to his work in the field of local arts agencies Bedoya was the executive director of the National Association of Artists’ Organizations (NAAO) from 1996 to 2001 included serving as co-plaintiff in the lawsuit Finley vs. NEA. He is also a writer and arts consultant who works in the area of support systems for artists. As an arts consultant he has worked on projects for the Creative Capital Foundation, The Ford Foundation, The Rockefeller Foundation, and the Urban Institute. Bedoya sits on the boards of the National Association of Media Arts and Culture and The Network of Ensemble Theaters. He has been a Rockefeller Fellow at New York University and a Visiting Scholar at the Getty Research Institute in Los Angeles. 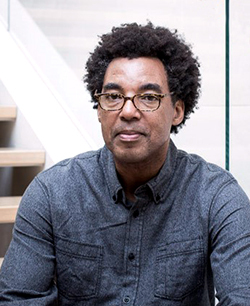 Rick Lowe’s Project Row Houses (PRH), founded two decades ago, has created a blueprint for using urban renewal practices within an artistic context to enrich lives. Located in Houston’s Northern Third Ward, one of the city’s oldest African-American neighborhoods, PRH is founded on the principle that art and the community it creates can be the foundation for revitalizing depressed inner-city neighborhoods (an idea that derives in part from Joseph Beuys’s concept of “social sculpture”). At its founding, PRH consisted of 22 houses on a block-and-a-half; today it occupies six blocks that are home to 40 properties, including exhibition and residency spaces for artists, office spaces, a community gallery, a park, low-income residential and commercial spaces, and houses in which young mothers can live for a year and receive support as they work to finish school and get their bearings. These are all accompanied by programs that encompass arts, neighborhood revitalization, education, preservation, and community service. In June of 2014, Jane Chu was confirmed as chairman of the National Endowment for the Arts. Prior to stepping into that position, she served as the president and CEO of the Kauffman Center for the Performing Arts in Kansas City, Missouri, overseeing a $413-million campaign to build the center. As the performance home of the Kansas City Ballet, Kansas City Symphony, and Lyric Opera of Kansas City, the Kauffman Center has hosted more than one million people from all 50 states and countries throughout the world since its grand opening in September 2011. She was a fund executive at the Kauffman Fund for Kansas City from 2004 to 2006, and vice president of external relations for Union Station Kansas City from 2002 to 2004. Previously, she was vice president of community investment for the Greater Kansas City Community Foundation from 1997 to 2002. 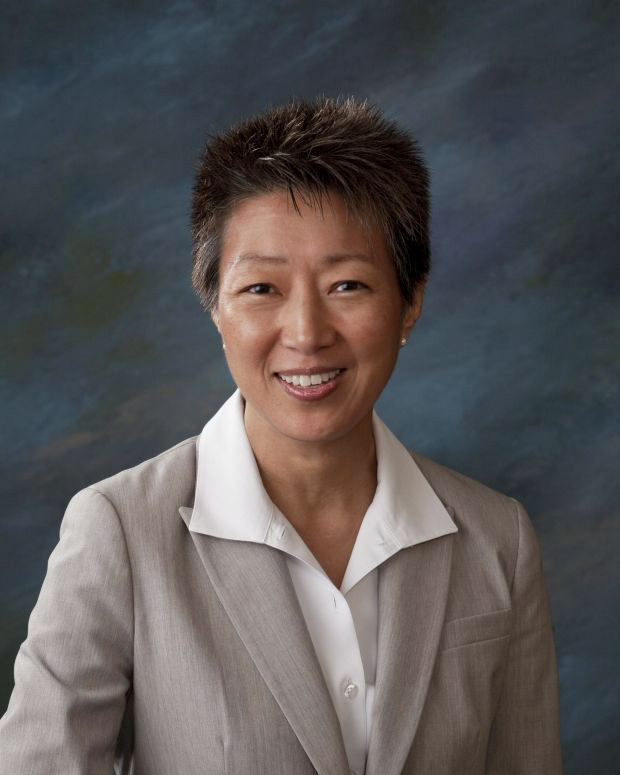 Chu also served as a trustee at William Jewell College and on the board of directors of the Ewing Marion Kauffman School and the Greater Kansas City Chamber of Commerce. 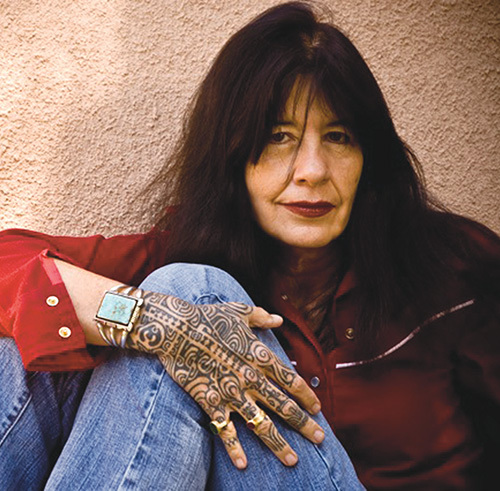 Joy Harjo was born in Tulsa, Oklahoma, and is an internationally known poet, performer, writer, and saxophone player of the Mvskoke/Creek Nation. Her seven books of poetry include such well-known titles as How We Became Human: New and Selected Poems, The Woman Who Fell From the Sky, and She Had Some Horses, all published by W.W. Norton. Her poetry has garnered many awards including the New Mexico Governor’s Award for Excellence in the Arts, the Lifetime Achievement Award from the Native Writers Circle of the Americas, 1998 Lila Wallace-Reader’s Digest Award, and the William Carlos Williams Award from the Poetry Society of America. Harjo’s memoir, Crazy Brave (W.W. Norton, 2012), tells of her journey to becoming a poet and was called “The best kind of memoir, an unself-conscious mix of autobiography, spiritual rumination, cultural evaluation, history and political analysis told in simple but authoritative and deeply poetic proze” by Ms Magazine. A renowned musician, Harjo has released four award-winning CD’s of original music and in 2009 won a Native American Music Award (NAMMY) for Best Female Artist of the Year for Winding Through the Milky Way. Her most recent CD release is a traditional flute album: Red Dreams, a Trail Beyond Tears. 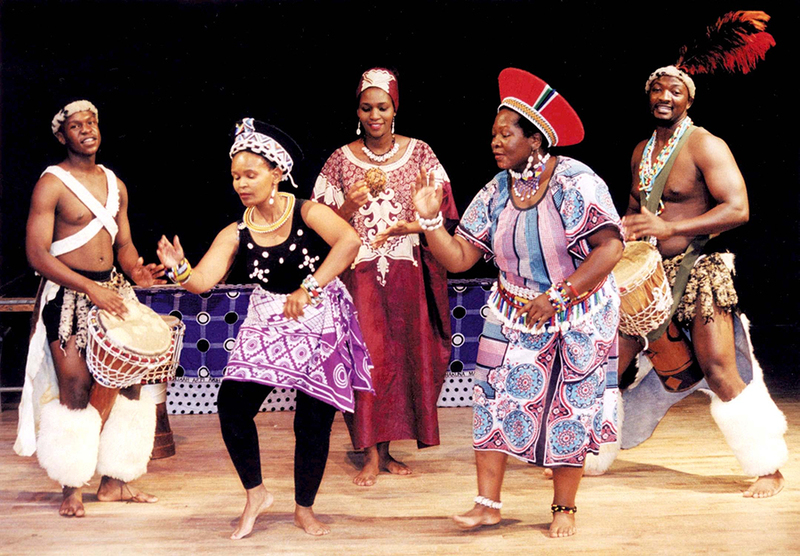 The mission of this organization is to create, teach and present the cultural experience of African art forms through dance, theater, music and creative expression. Located in the historic Third Ward, Kuumba House is celebrating more than 20 years of dance education and performances. Photo courtesy of Greater Houston Convention and Visitors Bureau.